Happy Secret Recipe Club Reveal Day! I can’t believe I haven’t posted since last month… I’m sorry about that. There will be a future post about all that has been going on but that will be later because I need to tell you more about my assignment for this month! I was assigned Amy’s blog, The Savvy Kitchen. She is a beautiful lady with an adorable family and I really enjoyed her site! 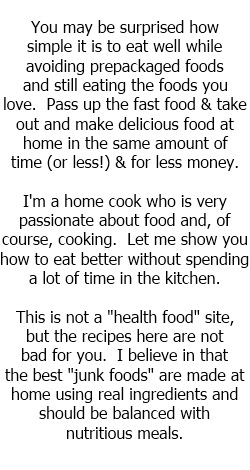 Sure, she specializes in low-carb, low-calorie and gluten-free recipes which is a far cry from what I do here but I have a lot of new recipes I want to try. For instance, cook-free pizza sauce! What a fabulous idea! And her Brussels Sprouts Gratin sounds absolutely divine. Mr. O agreed: this bread tastes just like snickerdoodles! 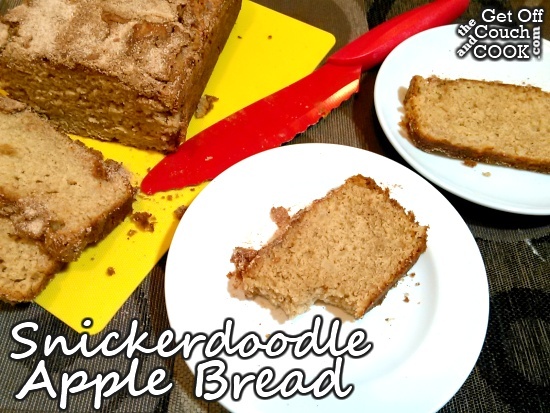 I diced the apples pretty fine so you didn’t get huge pieces of apple but more of a subtle under-flavor that really seems to work and helps keep the bread nice and moist. This is also one of the rare recipes where I did not change a thing! Preheat oven to 350ºF. 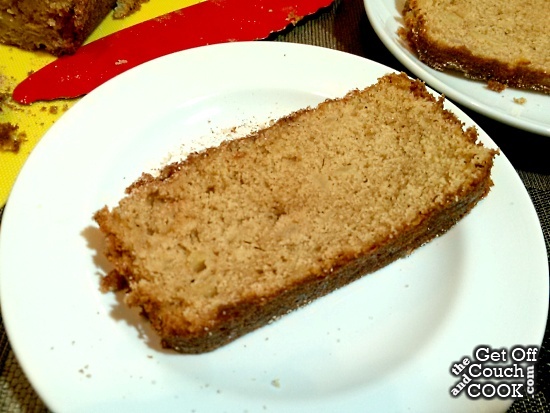 Spray a 9×5 loaf pan with baking spray. Line bottoms and up the ends with a strip of parchment paper (for easy removal) and spray again. Set aside. Whisk together salt, baking powder and flour. Set aside. In bowl of stand mixer beat butter, both sugars and cinnamon for 2 minutes on medium speed, scraping sides as necessary. Add in both eggs and vanilla and continue mixing until smooth, again scraping sides as necessary. Turn mixer to low and add in flour mixture and milk in alternating additions, starting and ending with flour. Mix until just combined. Finally add in apples and stir until just combined and pour batter into prepared pan. Spread with a spatula to evenly distribute the batter in the pan. Mix together the sugar and cinnamon for topping and sprinkle on top of batter. Bake for 45-55 minutes until bread is set and toothpick inserted into the center comes out clean. Allow to cool in pan for 10 minutes and then remove transfer to a wire rack to cool completely. This bread looks terrific! I love it. Looks absolutely amazing! Saving this one for later! Oh yum! I love breads like this and so would my kids. I might need to make it this week for them! Great SRC choice! This recipe has my name written all over it!